American Institute of Bangladesh Studies (AIBS), consortium of 18 U.S. Institutions of Higher Education involved in research on Bangladesh. AIBS also offers intensive beginning, intermediate, and advanced instruction in Bangla language during the academic year at its facilities in Dhaka on the campus of Independent University, Bangladesh, located in Baridhara. More information.  Center for TeleInfraStruktur, coordinating the EC funded ”Erasmus Mundus Mobility for Life” consortium (EMECW lot 11 South Asia Regional, 2008), formed by 8 universities in Europe, and 11 universitites in Asia (Bangladesh University of Engineering & Technology, Asian University for Women, and Chittagong University, Bangladesh; Royal University of Bhutan; Institute of Engineering at Tribhuvan University, Nepal; Mehran University of Engineering & Technology in Jamshoro, Sindh, Pakistan; Kabul University, Afghanistan; University of Calcutta, and Sinhgad Institute of Technology in Lona, Maharashtra, India; Bandung Institute of Technology, Indonesia; and Mae Fah Luang University, Thailand). Consortium web page.  Dept. of Cross-Cultural and Regional Studies, Faculty of Humanities. 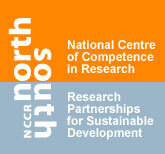  Danish Development Research Network (DDRN), Department of Geography and Geology. Network launched in 2007 after a merge between the Research Network for Environment and Development (ReNED), the Research Network for Governance, Economic Policy and Public Administration (GEPPA), and the Danish Network for Agricultural Research for Development (NETARD). The networks gathers more than 2000 researchers and practictioners from Denmark and many other countries around the globe..
 Cultural Complexity in the New Norway, Strategic research programme, University of Oslo. Interdisciplinary research programme involving five faculties, established in 2004.  KULTURSTUDIER (Culture Studies). Organisation run by a group of social scientists and humanists, providing the opportunity to combine studies of high academic standard in an environment that offers great learning experiences in third world countries, including India.  Department of World Cultures. Launched on 1 January 2010, comprising four former departments (Institute for Asian and African Studies, the Dept. of Classical Philology, the Renvall Institute and the Dept. of Comparative Religion. Wellcome Trust Centre for the History of Medicine, University College London. The Centre has been a hub of activity for the International Association for the Study of Traditional Asian Medicine (IASTAM), but closes down on 31 May 2010.  Crisis States Research Centre. Established in 2001 with the support of the Dept for International Development (DFID) of the UK government, initially to undertake research on Crisis and Breakdown in the Developing World. Overseas Development Institute, London. Britain's leading independent think-tank on international development and humanitarian issues.  Oxford Centre for Hindu Studies (OCHS) – previously Oxford Centre for Vaishnava and Hindu Studies. Research school CERES, Utrecht. Unites development related research in six Dutch academic institutions  Utrecht University, University of Amsterdam, Agricultural University of Wageningen, Catholic University of Nijmegen, Free University (Amsterdam), and the Institute of Social Studies at The Hague. Graduate Institute of International and Development Studies, Geneva. Created in 2008 by the merger of the Graduate Institute of International Studies, Europe's oldest institute of international studies (founded in 1927), and the Graduate Institute of Development Studies, one of Europe's first institutes devoted to the study of development (founded in 1961). TOAsia, School of Political Science, University of Torino. Unit with a function to help coordinate the School’s institutional and academic activities focussing on contemporary China, India, and Middle East.  Pandanus Homepage. Database of Indian Plant Names; Sanskrit e-texts; and Conference publications.  Department of Indo-European Studies. Established already in 1873 with a strong focus on Indology. ICCR funded Tagore Research Scholarship established in 2007.  Hindi Urdu Flagship, undergraduate program designed for students who wish to achieve advanced professional proficiency in Hindi and Urdu while majoring in a wide variety of programs, including Business, Communications, Engineering, and Liberal Arts. Global Studies Program, Oakton Community College, Des Plaines, Illinois. Oakton received the prestigious and highly competitive Title 6A: Undergraduate International Studies and Foreign Language Program (UISFL) Grant from the U.S. Department of Education for two years beginning August 2009. The grant will bring over $125,000 to the College to develop curriculum, along with student and faculty international opportunities related to South Asia. Oakton also develops courses for Hindi and Urdu languages. also by North Carolina State University in Raleigh, and the University of North Carolina in Chapel Hill. Secretariat located at Duke University.  Center for India and South Asia (CISA), UCLA International Institute. Opened on 1 July 2005, headed by Indian Historian Sanjay Subrahmanyam.  Human Security Report Project (HSRP). Maintains the Afghanistan Conflict Monitor and Pakistan Conflict Monitor.  Indian Ocean World Centre (IOWC), research initiative and resource base established to promote the study of the history, economy and cultures of the lands and peoples touching the Indian Ocean World – from Africa to the Middle East, India, Indonesia and Australia to China.  Canadian Asian Studies Association (CASA), national voluntary, non-profit organization which seeks to expand and disseminate knowledge about Asia in Canada.